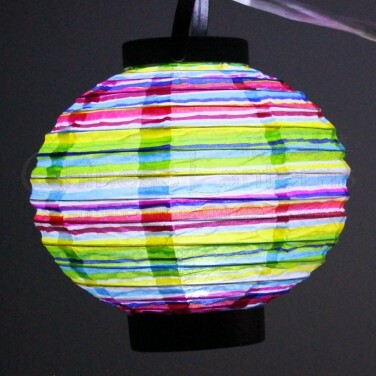 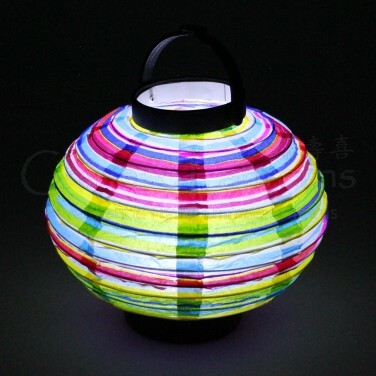 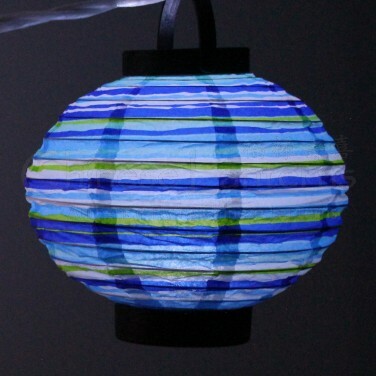 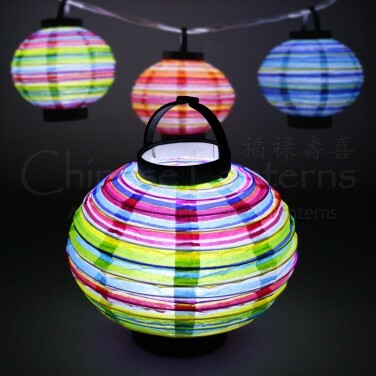 Add a splash of colour and light to your party decorations with vibrant striped paper LED lanterns. 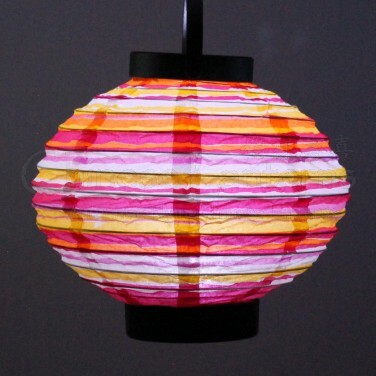 Light, vibrant and fun, these traditional styled paper concertina lanterns are lit with three bright white LEDs for an atmospheric glow. 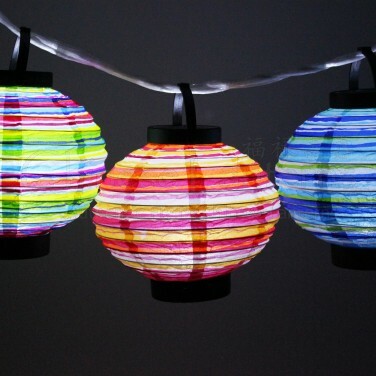 Available in three vibrant colours; multi coloured, blue/green or orange/pink, theses decorative hanging lanterns are battery operated for easy placement making a fun party decoration for use either indoors or outdoors.